Startup Bahrain got the opportunity to interview one of the Kingdom’s most prominent intellectual property lawyers, Faten Al-Haddad. 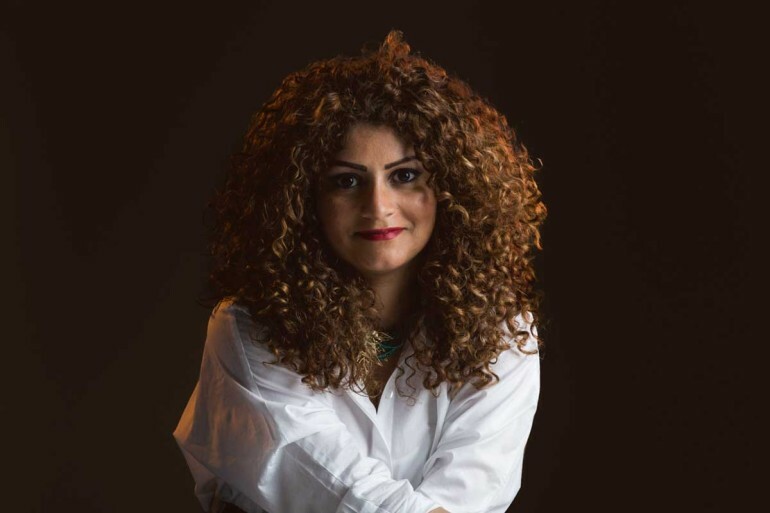 Faten talks to us about her challenges, her begginnings, and her work. Faten, tell us about your beginnings. I started as a trainee, lawyer, legal consultant and Bahrain representative—as a manager of the legal department in an international intellectual property company in Bahrain (Abu Ghazaleh IP), where I was chosen for my academic and experiential qualifications in intellectual property. What got you interested in doing what you do? What about intellectual property excites you? As lawyers, we always look for things that will keep us continuously challenged. Intellectual property rights are being updated, along with other updates in our real lives. Are you using Kindle to publish your books? There are regulations to protect electronic use and plagiarism laws to protect your books. Using Vine to upload your videos? There are regulations to protect the copyright of your videos. Have a new application to be downloaded in iOS and Android? There are regulations to protect your copyright, trademark, etc. These are examples of modernized laws and regulations that are up-to-date, and amended continuously to suit the updates in our daily lives. Why should we protect intellectual property? Intellectual property rights are not any different than your other rights; they include, but are not limited to, copyright, trademarks, design, media, and unfair competition. If you have written a book that took four years of research and your own time and money, and someone copies your book, or a part of it (plagiarism), that would constitute an act of theft. It is the same when you work hard for a trademark for decades and create a huge base of clients and a reputation, then another company uses your trademark as if it were their trademark (infringement) or uses the likelihood of the trademark to market their products (passing off). This act is not any different than stealing something tangible. Intellectual property is a creation of the mind, and costs money for its creator that can reach millions or billions of dollars, in the case of inventions and movie industry. Do you think intellectual property is not taken seriously in the Middle East? Why? Is it getting better? The Middle East is not any different from other third world countries in accepting the role of intellectual property. However, our intellectual property rights laws in trademarks are similar to those in French law – some of the leading laws in the world. The problem is with enforcing the laws, and establishing new governmental bodies that are energetic and up-to-date. Unfortunately, not all articles in our copyright law are enforced in Bahrain, though it is one the best copyright laws in the region. People are becoming more aware of intellectual property in the Middle East, especially in Bahrain over the past couple of years, due to the amount of legal claims filed against infringers and the high level of media coverage for these cases. What’s your stance on piracy? Are you fighting it in any way over here? Because of piracy, the movie industry is losing millions—if not billions, in some cases, yearly—due to piracy. Unfortunately, we do not have the system being used in some countries to report websites that infringe copyrighted materials online. Has social media had any kind of influence on your career? The rise of social media opened doors to more forms of infringement through streaming copyrighted videos, photographs, etc. Hence, it has made people more aware of copyrights, yet it gives them more chances to infringe copyrighted materials. What do you usually do in your spare time? Where do you hang out, what do you like to eat? Mostly reading and engaging in international actions such as international claims to enforce justice. I just came back from Istanbul, where I attended the hearing of Mavi Marmara (Freedom Flotilla), the Aid Flotilla to Gaza that had been shot at by Israelis, causing deaths and injuries amongst the participants. A court claim is taking place in Istanbul, refusing the settlement and demanding a prison sentence for the defendants. I am addicted to coffee, so coffee shops would be the best place for me to hang out with my friends. And I am a big fan of Italian and Mexican cuisine! What piece of advice do you have for local aspiring attorneys and lawyers? To look for opportunities that will widen their horizons, and to be challenged and take the initiative in what they do. Most important is to love and believe in what you do. The younger lawyers are the ones who can change aspects of law and the way people look at lawyers in this country. What is Al-Haddad Law Firm and what does it specialize in? It is a law firm providing legal services; we provide all legal services in Bahrain and through our associates abroad. Although we provide all legal services, we specialize in intellectual property rights and corporate law. You can find more about us at www.alhaddadlaw.com. What was it like starting Al-Haddad Law Firm? It was easy for me starting Al Haddad Law Firm, as I was handling similar cases and matters and a similar role in my previous job as a lawyer, consultant and office manger in Bahrain. Hence, I had to work on building a reputation that distinguished my law firm from other new law firms in Bahrain by specialization, range of services provided, and languages to communicate with international clients. Did you start your business with family members? We understand that this can be tricky for some. How did your experience go? Actually, my sister is a lawyer, two of my first cousins, and my uncle. It helped that I used to work with my uncle and cousin, but I do not think it made a difference when I started the law firm alone. Hence, I do not think the question is applicable. Did you fund your business when you first started? Would you have done it a different way if you could? Yes. For a lawyer in Bahrain, you have to fund your own business, as the ability to work as a lawyer is granted by a license issued by the Ministry of Justice according to your qualifications, and we cannot do it any other way in Bahrain unless you start as a company providing legal services and not as a mere law firm. Are you working with clients abroad? What is that like? Most of my clients are abroad. To be honest, clients abroad understand more about their intellectual property rights and they are easier to deal with. Considering my major (intellectual property), our work must be with international trademark and copyright owners. What are or were your biggest challenges? My biggest challenge at the moment is a landmark case that we are working on. We are getting our client’s pharmaceutical products and registering their patents in Bahrain under the first refusal of the related governmental entities; we have achieved one patent, and the other is on the way. What do you think of entrepreneurship in Bahrain? I am so proud of Bahraini youth taking the lead now in the market, whether in business or other fields. Unfortunately, we do not have real investment in youth in Bahrain. The first investment in a country should be its youth; establishing libraries that are accessible to all, science and research centers that are up to date, etc. Bahraini youth are the future of this country, and establishing such places would limit those youths from going abroad to invent, continue their higher education, or work instead of being in Bahrain and serving the country. What’s a risk you wouldn’t ever think of taking when it comes to your line of work? In legal work, we should balance the actions that we take, and know the risks and benefits of each. I believe that any legal decision you make may be risky sometimes when it comes to legal cases before courts. In what way do you think your industry will change in the next five or ten years? Everything is getting more digitalized! I hope that our role as lawyers will stay the same, but the way of legal procedures may be different, as we can see more digitalized content in the courts. More laws and regulations will be issued, as well, to keep us up to date. Data protection law and more amendments to intellectual property rights are a must. What are some things about Bahrain’s culture you are really proud of? Honesty and the Bahraini spirit. Most, if not all, of my international clients and friends love Bahrain for its people. What, in your opinion, are viable solutions for corruption? Supervision, censorship, and transparency are the only solutions for corruption on any scale, whether it is a country, company or entity. To be satisfied with what you are doing, and to be giving and helping others, always creates a satisfied and peaceful mind. I guess for lawyers, pro bono cases are a way of giving, as well. Creating a group of people with different backgrounds and education will create a healthy competitive atmosphere. As mentioned above, I tend to choose people from different backgrounds, experiences and education. Working together in such a group will create a healthy competitive atmosphere, considering the fact that we should treat our workplace as we want our life to be: full of people from different backgrounds and experiences. How do you currently market your law firm and its services? Social media, my website www.alhaddadlaw.com, and registering with international lawyers’ marketing websites. What are your firm’s biggest achievements? The ones you’re most proud of, if you can disclose any? Mostly winning cases with international law firms, and our clients in Bahrain including Lipton, Polo/Lauren and other international brands. For this year, we consider winning the patent registration for pharmaceuticals to be a landmark case in Bahrain, and the first of its kind. It will be our biggest achievement for this year, hopefully. We understand that you’re fluent in Spanish. How has that helped your career? Spanish will make you understand Italian, Portuguese, and other Latin languages. Communicating with clients in their own language is very important; it makes them feel more secure and in safe hands, which leads to trusting the lawyer who is representing them. What were the most important things you learned as a legal consultant working with Talal Abu Ghazalah a few years ago? Working in Talal Abu Ghazaleh in the main legal frontier, as intellectual property/ legal consultant and manager of their legal office in Bahrain, taught me how to deal with international clients and international law firms. 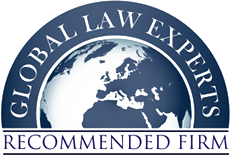 Without this experience, I would not have to come to be able to deal with cases on international level. Can you give our readers three quick tips on protecting their intellectual property or work? Do not publish your work before consulting your lawyer. Do not sign any agreements that transfer your intellectual property rights before consulting your lawyer. Do not sell your work without signing an agreement reviewed by an IP lawyer. Most individuals don’t understand the legal framework that’s available to protect their work. Would you mind shedding some light on that? Signing an agreement before selling your work can lead to losing all your rights after transferring the work, or it can give you the ability to track your work when you become famous as painter, for example, and get back the difference in the amount paid to you and the amount paid when you are a famous painter. Therefore, know your rights and how to protect them, whether you are a writer, photographer, painter, journalist, etc. Do you think relying heavily on copyrights, trademarks, and patents stifles or slows down the creative or innovative progress? I believe it makes people more innovative and creative when they start looking for new methods and ideas instead of relying on and reproducing others’ work. New inventions should be made, and new patents will be registered. The Internet has made it virtually impossible to fight piracy in a meaningful and effective way. Where do you think this is heading? As I mentioned earlier, some countries are using the system to report websites online infringing copyrighted materials. Many piracy and file-sharing websites are being shut down daily, worldwide. In some cases, the infringer will pay remunerations up to millions of dollars, and may be sentenced up to seven years in prison. It is impossible to create a world free of piracy, but the world is more cautious when pirating a movie, for example, which creates the sense and fear of law. I believe that the fear of law, for the time being, is progress, considering that a few years ago, people did not fear pirating a movie. Imposing higher remunerations and longer jail time made people fear more when pirating a movie. If protecting intellectual property is done to protect the profits that result from those properties instead of the work itself, does the same moral obligation still stand? Protecting intellectual property is done to protect both moral and economic rights. Imagine that you have a sculpture that you created. The sculpture is your original work, it cost you time and money, and it is a creation of the mind, as intellectual property is referred to. Hence, you are the sole owner of the moral and economic rights. For example, selling your sculpture to an art space will entitle you to receive the money (economic rights) for the transfer of the sculpture (the work itself) and, under some laws, will entitle you to own (moral rights) the sculpture, though it was bought. Moral rights can remain up to 50 to 70 years after the death of the original artist. Therefore, they cannot change the shape of the sculpture, the color, design, angle of the light, etc., unless it has been discussed with you. Actually, this happened in a case in France. You know, the famous melody to the song “Happy Birthday to You” was first published in 1894 by two sisters, Mildred and Patty Hill, and the cases regarding moral rights to this song are still ongoing in courts. One of the arguments for piracy is the fact that paying for digital content is inconvenient and, in many cases, not available for everyone. This makes piracy a much more viable option. Do you think this is a good argument? I do not think it is a good argument when you are in the movie industry and you pay millions for a movie and lose millions every year. Piracy is killing the movie industry, and it is not an excuse to cause millions in losses. Why are copyright laws difficult to enforce here in the Middle East? They are not difficult to enforce if the concerned authorities take binding, immediate actions against the infringers. As I mentioned above, the higher the punishment is, the lower the percentage of infringement that will take place. Our intellectual property laws in Bahrain are the best in the region, but the problem is with enforcing them, and the efficiency of the concerned authorities plays a major role in such cases.